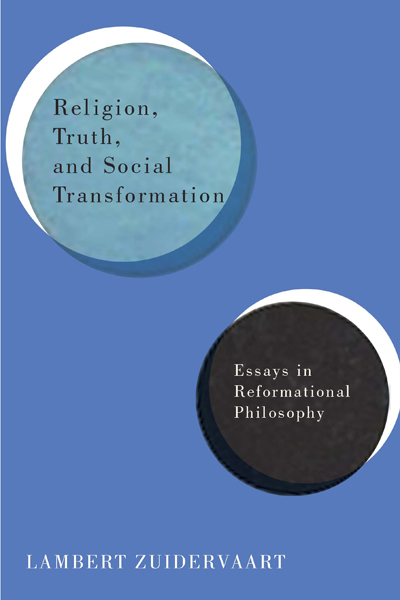 In this short reflection, "Reformational Philosophy after Dooyeweerd and Vollenhoven," Lambert Zuidervaart examines the task of Reformational thinkers vis-à-vis their own tradition, narrowly defined, and vis-à-vis the philosophical tradition as a whole. He argues for an orientation to both traditions that he names critical retrieval. He positions this stance as a virtuous middle between two vicious extremes: “following” and “rejecting”. Zuidervaart is saying that philosophy in its proper sense is to be a critical project; this is as true for the practice of Reformational philosophy as it is of philosophy as a whole. Moreover, criticism or a sifting of what one receives from the passing on (traditio) one participates in can never be a pure act of rejection, on the one hand, nor a wholesale acceptance, on the other. To sift is to trust that there is much in the passing on that will bless one going forward. It is equally to anticipate that there will be things in the passing on that would be better left behind. In all of this Lambert Zuidervaart is arguing for a shift in focus from philosophical criticism as an externally focused responsibility that the participant-beneficiaries of one philosophical tradition have toward the participant-beneficiaries of other traditions. This responsibility can be thought of as the “diaconal” thrust of both the thetical/antithetical critique of Vollenhoven and the transcendental criticism of Dooyeweerd. Characteristic of this diaconal thrust is a dichotomizing understanding of the relationship between one’s own tradition and the traditions of others. While there is a recognition that they all participate within the cultural form we call philosophy, that unity is overshadowed by the differences constitutive of each tradition in its discrete identity. The foregrounding of difference creates an illusion for any participant-beneficiary of any tradition. The content of one’s tradition constitutes an identity “A” to which all other traditions and their contrasting content relate in an important respect as “not-A”. Zuidervaart is not comfortable with that illusion and that is presumably in part because he is uncomfortable with the rhetorical emphasis upon real difference at the expense of real communion or solidarity. Zuidervaart is not comfortable with that illusion and that is presumably in part because he is uncomfortable with the rhetorical emphasis upon real difference at the expense of real communion or solidarity. Zuidervaart’s suggestion is to shift toward criticism as an internally focused responsibility to sift one’s own tradition in virtue of answering the legitimate questions that are being asked of it. The name for such an internal focus is immanent criticism; the effect, critical retrieval. Indeed, the internal way is so important that one ought to centre one’s participation in the wider philosophical endeavour by examining other traditions as if an insider, that is, via immanent criticism, so as to ask legitimate questions of them that “true” insiders could take on via immanent critique and critical retrieval in the way one takes on the legitimate questions of others in one’s own immanent critique and critical retrieval. Immanent criticism is not a new idea in Reformational circles. Dooyeweerd was especially enthusiastic. I remember hearing Al Wolters remark some years ago that in the first volume of his New Critique, Dooyeweerd dove into immanent criticism of current philosophy and never really seemed to come up again, even for air. So it is not the suggestion that Reformational philosophers spend time and effort on immanent criticism per se that marks out Zuidervaart’s proposal. Rather, it is that immanent criticism is to assume the place reserved to transcendental criticism or thetical/antithetical criticism by Dooyeweerd and Vollenhoven respectively. The effect of Zuidervaart’s proposal is to emphasize the common task given to Reformational philosophers and all other philosophers by virtue of their participation in the cultural form philosophy without denying the role of differences that constitute the Reformational tradition as a discrete traditio within the history of philosophy. Here I come to a question. Would an emphasis upon solidarity with philosophy as cultural form allow one to maintain the central task of Reformational philosophy to witness to the religious root of all human endeavour and the integrating role of the Christ in the meaning and history of the cosmos as alpha, mediator, and omega? It is clear what Zuidervaart wants foresworn. In the first place, he would see an end to the dichotomizing effects of the privilege accorded to the differences that constitute the traditions within philosophy as discrete phenomena. In the second place, moreover, he would see an end to the Reformational appeal to methods and content that are drawn from outside of philosophy as cultural form. He is not doing so in view of a neutrality postulate. Rather he sees philosophy as an authentic site in which to pursue faithfulness to God. Insisting on a necessary supplement in order that philosophy as cultural form be a site of divine presence and revelation seems to deny that philosophy can be such an authentic site apart from such supplementation. Rather [Zuidervaart] sees philosophy as an authentic site in which to pursue faithfulness to God. Insisting on a necessary supplement in order that philosophy as cultural form be a site of divine presence and revelation seems to deny that philosophy can be such an authentic site apart from such supplementation. It seems to me that it is this combination of concerns that lies behind his call to emphasize that we are all philosophers, participant-beneficiaries of this cultural form and so all have responsibilities, flowing from a proper solidarity toward each other, to ask questions of other traditions within philosophy in service of others and their need for critical retrieval, while answering the legitimate questions asked by others and ourselves toward critical retrieval of our own. And this gives rise to a second question. There were good historical reasons for constructing the dichotomizing discourses of the past in order to pursue the formation of a Reformational task in philosophy. Are we really so sure that the initial conditions, that seemed to cry out for the dichotomizing edginess of both transcendental and thetical/antithetical criticism, have so changed that the tradition can afford the greater solidarity with current philosophy and its religiously heterogenous ethos connoted by immanent criticism as Reformational critical practice, tout court? The implication would be that philosophy can in being its religiously heterogenous self bear witness to the presence of the self-revealing Word who gives meaning and existence to the world, who speaks through the Scriptures, and above all, who has been made flesh in Jesus of Nazareth? If it cannot, then, there may yet be a role for a proper critical emphasis upon difference, and the discontinuity between the Reformational task within philosophy and the tasks proper to other philosophical traditions, there may yet be a role for forms of critical discourse that hint at separations more profound than those possible within the framework of immanent criticism. 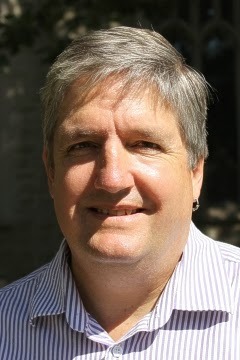 Bob Sweetman serves as Academic Dean and holds the H. Evan Runner Chair in the History of Philosophy at the Institute for Christian Studies. His own research in medieval and ancient philosophy has moved him to have a great deal of sympathy for modes of understanding Reformational philosophy that emphasize solidarity with others within the practice of a religiously heterogenous cultural form, provided such understanding still honours the sense of spiritual witness to Jesus Christ that can be said to have been the driving force of Reformational and indeed Christian philosophy from its very beginning.